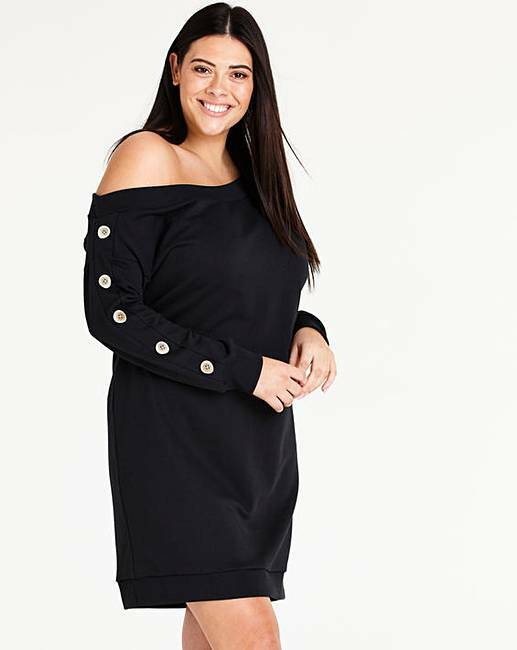 Button Sleeve Sweater Dress is rated 5.0 out of 5 by 2. Keep cosy and warm this season in your new favourite sweater dress. 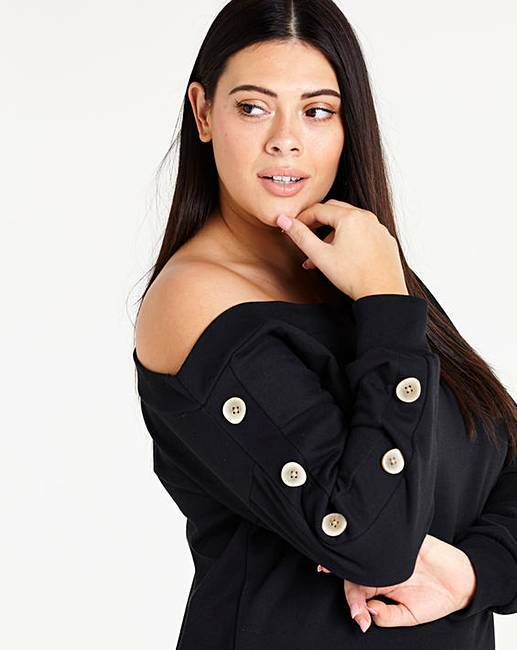 Featuring long sleeves, off shoulder styling and button detail down the sleeve. This will be your new wardrobe essential. 56% Cotton, 44% Polyester. Contrast: 68% Polyester, 32% Cotton. Rated 5 out of 5 by Big bubbles em from Looks great I bought this for a night out and the amount of comments on how good I looked was amazing felt so good. Rated 5 out of 5 by Jesters from True to size Good design but more of a tunic length. 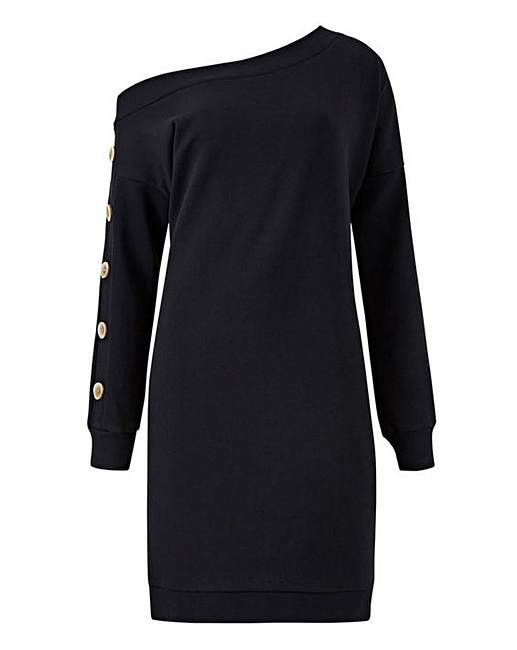 The cut on this is flattering but not oversized- go up a size if you require more slouch.